Getting your eyebrows just right can make a huge impact on your appearance by creating a dramatic frame for your eyes. It matters in defining an individual’s face, and can change a person’s entire look. With well-groomed brows, it can instantly make you look more polished even if you don’t have much makeup (or any) on. What Is 6D Creative Eyebrow Embroidery? 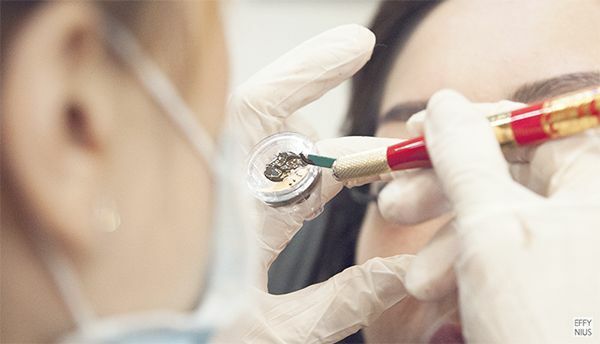 6D Creative Eyebrow Embroidery is the latest improvised procedure of 3D Eyebrow Embroidery which strokes are finer and dense – stimulating the look of real eyebrow hair. 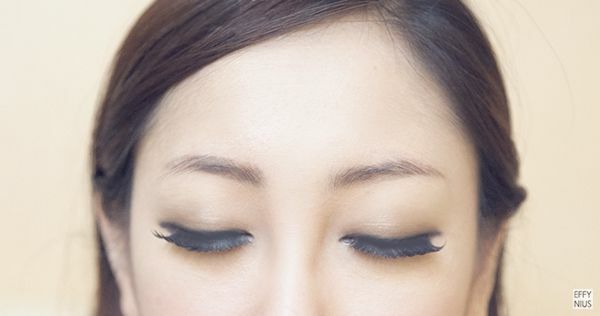 Although it uses the same technique of 3D Eyebrow Embroidery, results are more natural looking. 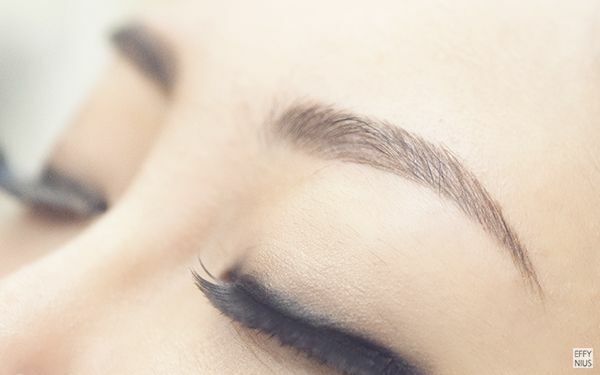 Creative Eyebrow Embroidery is a semi permanent technique using colour pigment drawn onto the skin with natural feathering of hair-like strokes creating a beautifully designed brow – but with 6D Creative Eyebrow Embroidery, it is created with much more precise strokes and skill. Why 6D Creative Eyebrow Embroidery? The new semi permanent makeup technology gives you the natural look that every woman yearn for. You save a great deal of time without having to re-draw your eyebrows everyday, and still looking good 24/7. Spare the hassle of penciling, tinting and brow powder makeup – and waste no time on making that perfect arch. On top of that, the new 6D Creative Eyebrow Embroidery gives a more natural looking eyebrows as compared to other procedures. Why Kelly From Perfect Brow House? Perfect Brow House specialises in designing creative eyebrow embroidery and beauty products. Their eyebrow specialist – Kelly – has more than ten years of experience and is famous for her reputation on the internet, especially in Flowerpod. 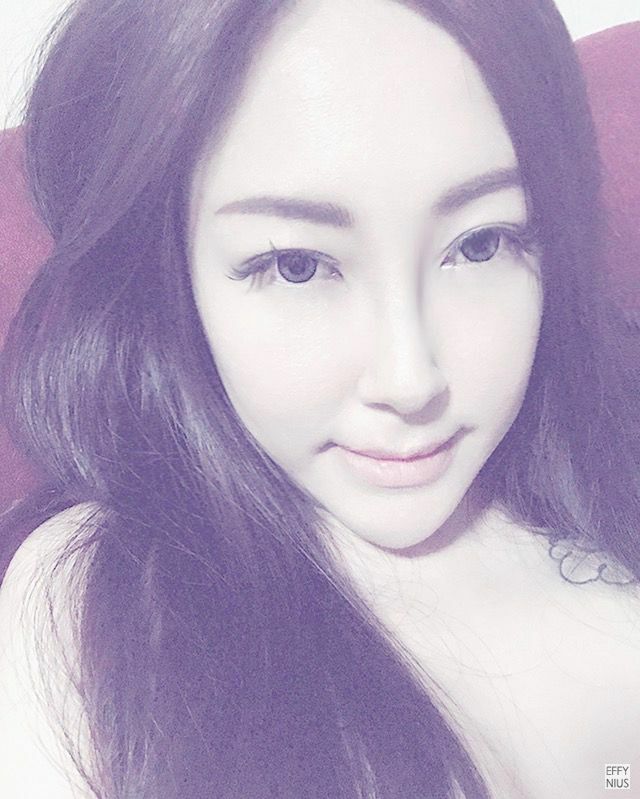 With Kelly‘s reputation for her eyebrow designing and embroidery skills, especially from personal experience for my 3D Creative Eyebrow Embroidery previously, she is the perfect person to entrust my eyebrows to, without a worry. So here I am, once again. This time trying out the latest procedure – 6D Eyebrow Embroidery. The faded 3D Eyebrow Embroidery after a couple years. As you can tell from the picture, the eyebrow still looks good in shape even after it has somewhat faded. It was so much worse before that – pathetically naked brows – the scattered little hairs. It is important to keep the treatment area clean before the procedure as blades are used and there will be open (but invisible) wounds. 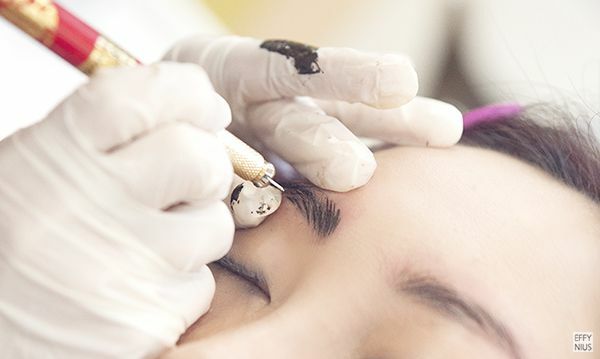 Therefore, I did not put on any eyebrow makeup for this visit to save them the hassle of makeup removal – knowing what and how the procedure goes about. However, they still insist on cleansing the eyebrows – making sure it is all clean for the procedure. I appreciate them for the extra effort as this step can be easily pushed off since there is no makeup on the eyebrows, but Perfect Brow House is careful and strict coming to hygience prior to and during procedure. Numbing cream is applied and to be left on for 15-20 minutes. If you are afraid of pain, you may request for the numbing cream to be left on for half an hour. Whereas for my case, I am pretty much used to pain by now so 15 minutes works fine. Shaving off the excess hairs around the eyebrows before drawing. Drawing the perfect eyebrows shape for me – this is fully customised for each individual before the start of embroidery procedure. The perfectly designed eyebrows by Kelly. Kelly is very dedicated in her work, and is more than a perfectionist than I am. The attitude is much respected. 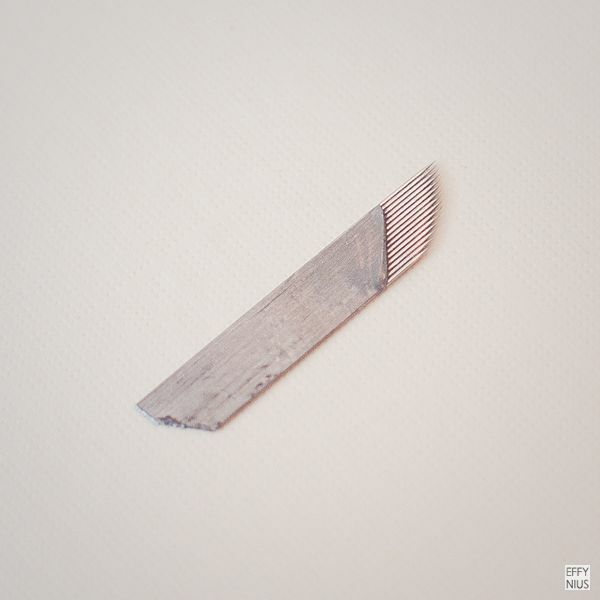 Every set of eyebrow embroidery blades and needles are brand new for each individual customer – for hygeience purposes. Customers can be well assured that the sets used are brand new because at the end of eyebrow embroidery session, they will be given their very own used blades and needles – for touch-up one week later, if needed – or purely for keepsake. No sets will be reused. The set of eyebrow embroidery blades and needles. The blade and needles are not as scary as it seems. This is magnified a thousand times for you to have a closer look. In usual cases, only a shade of brown is needed. Due to my naturally dark-coloured eyebrows, she had to mix in two shades of colours – blackish and brownish – for my eyebrow embroidery. A closer look of how the eyebrow embroidery procedure is done. It may look painful with the needles pulling on your skin and you can hear the harsh sound of scrabbing – tsak tsak tsak – but no, there was no pain at all. The numbing cream works well, and her hands are fast. She is really skillful with the procedure as well – living up to her ten years plus of experience. 6D Creative Eyebrow Embroidery procedure is done within 2 hours. The eyebrows look reflective due to the after-care cream applied. 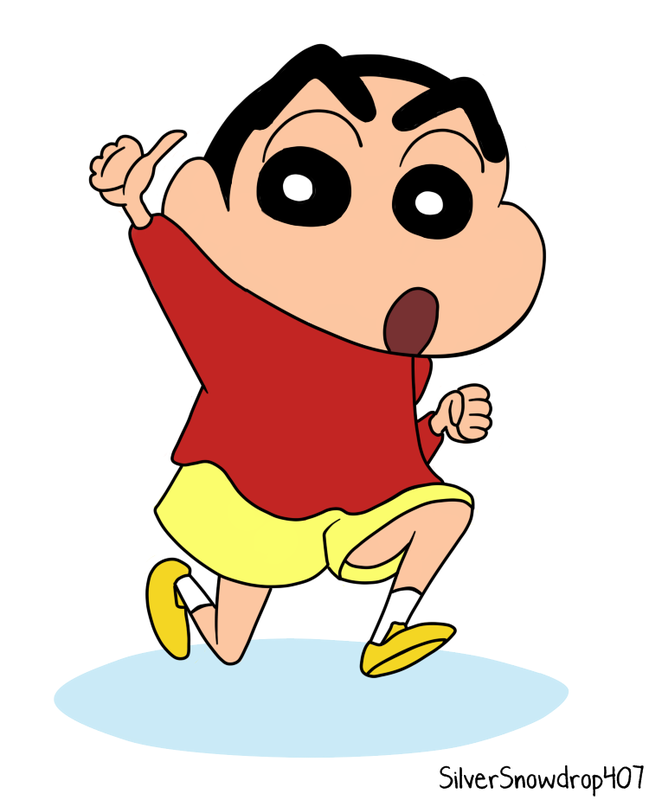 It is normal to look like Crayon Shin-chan クレヨンしんちゃん 蜡笔小新 right after treatment. Do note that you will look more like one the next day, and coming few days. This is extracted from my previous 3D Eyebrow Embroidery Recovery Process. Since the procedure is the same (only with more strokes for 6D Creative Eyebrow Embroidery), the healing is similar. There is one little difference to take note of, however. 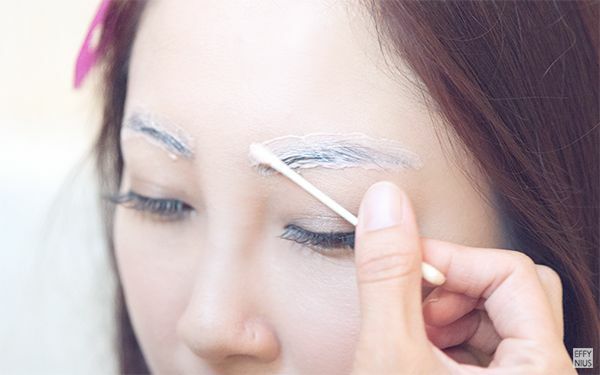 For 3D Eyebrow Embroidery Recovery Process, they peel in patches whereas for 6D Creative Eyebrow Embroidery, they should heal stroke by stroke. In any case should they peel off in patches, do contact Perfect Brow House to seek advice or arrange for a touch-up session. The Crayon Shin-chan クレヨンしんちゃん 蜡笔小新 look. Eyebrows are thick and reddish with a slight swell. Peeling has started on the left brow. Do not rub or peel off the scabs. Peeling has started on the right brow as well. And the itching starts haunting. The brows look terrifying at this point of time because they are in patches, and makeup is not advisable as the brows are healing. 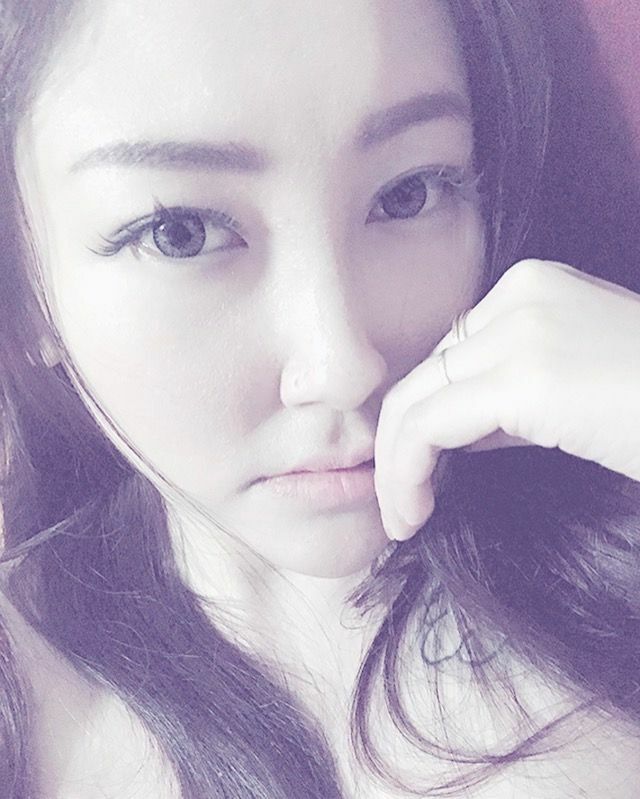 It got me worrying for awhile – what if the eyebrows stay this way forever? Well, all my worries were gone two days later. Peeling is completed and the colours have blended in well. eyebrows now, and they look really natural! Thank you Kelly for my natural looking eyebrows. It looks just as perfect as my previous 3D Eyebrow Embroidery. If you are looking for an eyebrow specialist but is skeptical because you are not sure of where to go and who to look for, Kelly from Perfect Brow House is the one you would love to go to. If you would like to engage Kelly personally for your eyebrow or lip embroidery services, please note that there will be an additional charges on top of the price list stated above, due to Kelly’s busy schedule. Of course, with that being said, there are no worries in engaging other embroidery specialist as they are equally excellent-trained and experienced beauticians at your service.